A great night was had by all as The Skin & Blister Sisters (real sisters Avril Appleyard and Rosie Scott), along with 18 talented and diverse entertainers, helped us raise funds for Berkshire’s first children’s hospice – Alexander Devine Children’s Hospice at our Christmas Pub Fundraiser on Sunday 11 December. The event open mic event raised over £1,700 and incorporated a magical Giving Tree – baubles on the tree could be purchased and then swapped for a whole range of over 100 luxurious gifts donated by local companies including hair styling, beauty treatments, champagne, perfume and much more. There was also a fun ‘American-style’ raffle where people could buy an arm’s length of raffle tickets (with many wearing these around their necks all night) with fabulous prizes on offer. 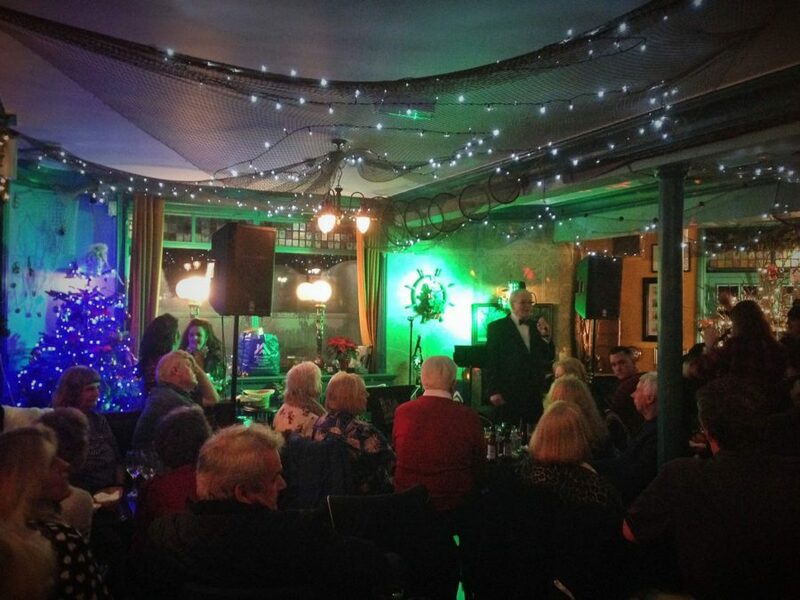 It was a wonderful run-up to the festive season with guests joining in with favourites such as Santa Baby and American Pie. We’d like to say a massive thank you to all the performers who took part, as well as the companies who donated gifts for the raffle and Giving Tree and of course everyone who came out to support the evening. A special thanks goes to the wonderful Avril and Rosie who organised the event and helped made it a success. It was a fun afternoon for a great local cause. The singing sisters have also recorded a Christmas CD, and a percentage of the profits will be donated to the fundraising effort.